I am fairly new to yoga and trying to get it all down. I am having a hard time finding proper clothing that works for me. First, I am kind of oddly built guy. 6 feet 4 inches tall, but only about 165-170 lbs. Not stick like, but pretty skinny. The only thing I have found that works is an under armour sleeveless compression shirt (spandex style), which I don’t really like because I feel trapped in it, but it doesn’t fall on my nose when I do a shoulder stand. Even “form fitting” shirts tend to be loose on me and bunch up, hang funny on my shoulders, or generally become a nuisance, especially as I start to sweat and the fabric sort of sticks to me in odd places. I have tried a few different styles of pants and no matter what I wear, I end up having to do poses in several steps to get my pants unstuck from my knee when my long legs start bending and moving into different poses. I haven’t tried shorts, maybe that is the solution, but I like the feel of pants and they keep my hamstrings warm, which is very good because they need all the help they can get. Any suggestions on what type of clothing I should look for? Any advice on finding it locally? I live in an area where yoga is not all that popular, so there are very few studios and not many sources for supplies, but ordering online is a roll of the dice as to if what I order would be useful at all. It all depends on your motivation to take yoga classes. If its just for the Yoga choose something comfortable. If you want to look nice and atractive its more dificult. I personally wear heather gray shorts from Russell or the like and a white short sleeve tee-shirt. Usually compression shorts underneath. I’ve never worn long pants for yoga. 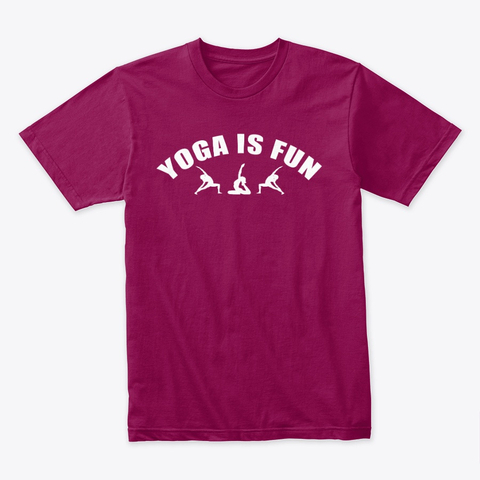 There are so many online vendors…though men’s yoga clothing is difficult to find since the market segment isn’t that profitable. I would suggest track pants that have elastic around the ankles. They won’t slip or bunch together, and they can still be loose enough around your legs to be non-constricting. It may depend on where you are doing your asanas, but if you are a man it may not be such a big deal to do asanas shirtless. I know this isn’t very fashion savy… but you could always try tucking in your shirt? As for the pants, I wear pants that come down to my mid calf, they have an elastic band with a string. I think they’re perfect as I don’t have to wear tight pants, they’re still loose and comfortable, but they don’t end up all bunched up when I do inversions. That would likely be more ideal for a guy though. But really what does it matter what you look like while you do yoga? Just as long as you’re comfortable, right? I’m the same build as you. I wear an undershirt or tshirt and sweat pants or some shorts to yoga class. Sometimes my shirt comes off a little bit (or a lot) and over my head. I don’t really see the big deal. Just find some clothes. Hey, even I have found some urban yoga clothing style. Visit, the spiritual health. It’s easier to find yoga wear for women. Women want to be stylish and comfortable doing yoga. As for men, I would suggest to try tighter workout clothes. You can find a lot of sites online that you can order from or major department stores. When I took my boyfriend to try yoga, he wore a plain white t shirt with Adidas track pants. He seems to stretch well in those clothes. I’m female, medium height a build. I find there are lots of people willing to exchange my money for yoga clothes, but the primary factor in whether they work for me is the stretchiness of the cloth. In flannel pajamas (hey, it’s cold sometimes during my private AM workout) I need to plan ahead and twist the pants leg and crotch to where they’ll meet the right part of my body after I move into the pose. Something with a bit more heft and give (cotton with around 25% spandex) will come with me with much less planning. If I were to sweat a lot and practice in a t-shirt I’d probably get uncomfy, too – again, just a matter of the clothing not ending up on the body space where it started. The tighter stuff (for women, read ‘built in bra’) is really handy when there are no sleeves. Good luck, or find a tailor/seamstress and help him/her start a new fashion line! I actually just bought a lululemon outfit and it’s been great. I agree that it’s over priced, but I’m hoping it will last for many years. Well, you know – in a structured, “go to a store and buy things” fashion. Wearing tight body fitted clothing is great for hot yoga. Since you sweat a lot, you don’t want something too loose to drip your sweat. I am a healthworker and those scrubs with the tie are absolutely my favorite yoga pant. Now the tops of the scrub outfit on the other hand, forget it! A t-shirt suits me fine!